NEW PRODUCTION: Transit, directed by Paul Binnerts, produced and performed by Theater Willy Praml in co-production with Wu Wei Theater, in the Naxos Halle, Frankfurt a.M. Première: August 28, 2015. 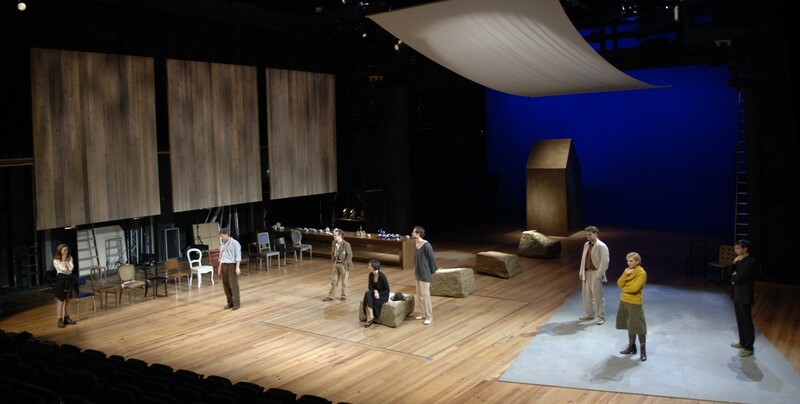 NEW PLAY, Transit, based on the novel by Anna Seghers is about (mainly) German refugees, who desperately seek to escape Europe from the last open harbor of Marseille. Their life depends on entrance visa to the USA or Mexico, on transit visa to cross countries like Spain and Portugal to get there, to exit visa from France, and with numerous other rubber stamped papers that allow them to leave. Their very lives are ‘in transit’ and hang in the balance. Willy Praml is the initiator and director of the ‘free’ theater group that bears his name, and was one of the participants of a Brecht ‘Lehrstück’ experiment in 1974-1976, directed by Paul Binnerts: The Exception and the Rule, performed as clowns in a small one ring circus. 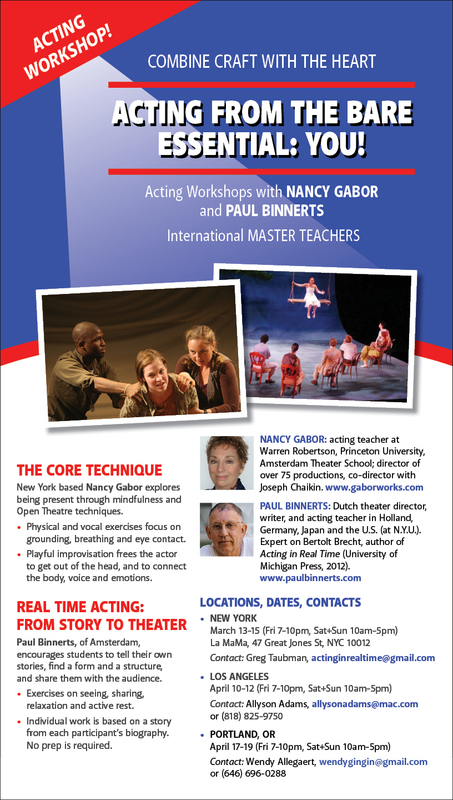 TEACHING: ATKA (Amsterdam Theaterschool): a three week acting workshop, together with Nancy Gabor: August 31-September 18, 2015.